Located right in the centre of Fremantle, The Terrace was built in 1891 and completely renovated with gorgeous wooden floors, brand new kitchen, fabulous bathroom with jetted spa bath, full 2nd bathroom, spacious and airy living those who are looking for the ultimate in convenience for location, this sizable property is immaculate. The living space is well laid out, with 3 bedrooms and 2 living areas. The house can comfortably sleep up to 9 adults, and with 2 full bathrooms and 2 separate toilets, there is convenience to suit the larger numbers. A great feature of the house is the stunning, brand new, kitchen, complete with stainless steel appliances. Luxurious and contemporary furnishings throughout the house accentuate to character of this property. A lovely courtyard offers a place to relax, enjoy a glass of wine and an afternoon barbecue. The front of the house also has a shady porch to watch the world go by. For your comfort, there is air conditioning for the summer and heating for the winter months. The house also has 2 off street car parking bays located at the rear of the house. Fresh produce is available from Galatis (green grocer/continental deli)which is 100 meters away. Walking distance to Fremantle market. Secure parking. Very good size for a comfortable stay. Thanks to the owners for providing such a gorgeous home. It was even better than we expected. 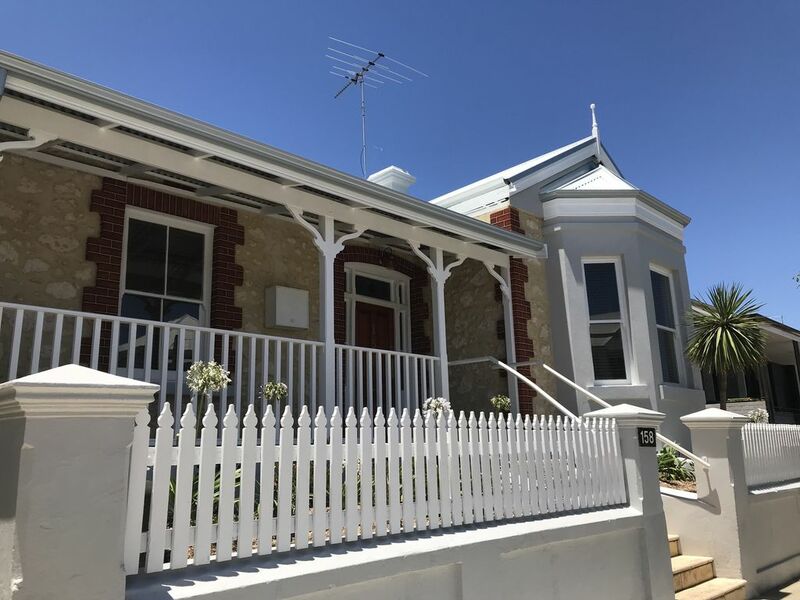 Location is amazing, so close to all the action in Freo, but also just a few steps from a lovely little deli, butcher, baker, fruit market and a wine bar. Freo was freezing while we were there so it was lovely to come home to a house with brilliant heating. Thanks!!! Great place for a family to stay in Freo. Lovely old home with great charm. So close to the heart of Freo. Good for parking. Great for entertaining.